Our company has been working in the lighting industry for over 15 years, providing reliable solutions to our customers. We have over 500,000 led lighting and ceiling fan products to choose from. 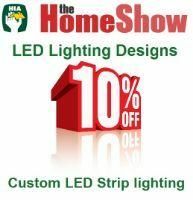 Please visit us any time after the Homeshow in our Showroom 1/13 Watson Rd Padstow NSW.